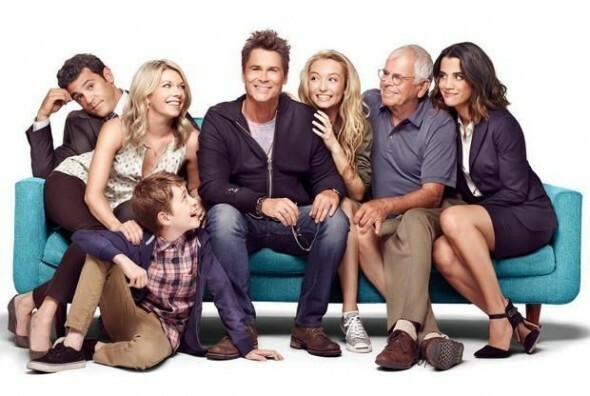 Performers include: Rob Lowe, Fred Savage, William Devane, Mary Elizabeth Ellis, Natalie Morales, Hana Hayes, and Connor Kalopsis. This is legal/family comedy follows a fictional superstar lawyer who transitions from small screen to small town. Hollywood icon Dean Sanderson, Jr. (Rob Lowe) returns to his hometown after his TV show is suddenly cancelled. He receives a hero’s welcome from his family, especially from his number one fan and father Dean Sanderson, Sr. (William Devane). Head of the family’s real life law firm, he’s infinitely proud of his handsome and successful actor son. Slightly less impressed is Dean’s younger brother and real life attorney Stewart Sanderson (Fred Savage) who’s now married to Debbie (Mary Elizabeth Ellis), Dean’s high school sweetheart. Feeling that the time is right for a life of normalcy and value, Dean decides his next move should be to help out at his family’s firm. With no formal legal training (though having a played a successful lawyer on one of television’s most watched shows for eight seasons), he believes he is more than qualified to practice. His uncompromising and intense character on The Grinder is a far cry from the real life courtrooms where his brother has worked tirelessly for so long. Oblivious to his brother’s concerns and real life due process, clients are delighted to have the supposedly legendary lawyer represent them. Dean Sr.’s malpractice trial is finally at hand and it will come to a surprising conclusion when Stewart gets sidelined, leaving it to the rest of the Sanderson & Yao team to save the firm and find out who has been the secret mastermind behind Cory Manler and Dean Sr.’s case. Stewart is concerned that Dean’s instincts and Grinder-isms won’t be enough to win the day, and Dean is offended by his own brother’s lack of faith. First aired: May 10, 2016. What do you think? Do you like The Grinder TV show? Do you think it should have been cancelled or renewed for a second season? It was sooooo FUNNY!!!!! Why do such injustices happen?? Finally a show that made me laugh out loud and they cancel it? Please rethink this move. I Never make comments about shows, but HAD TO regarding “The Grinder.” I just watched the first episode on Amazon prime a few days ago, after my movie making, L.A. living, part time actor bro-in-law recommended it. I LOVE IT! proceeded to watch/buy the remaining episodes and binge watched then all. Fresh, hilarious, pack with great moments, actors are so perfectly cast, clever comedy. What a SHAME, this show was cancelled. Our loss, I thought it was brillant. Please Rob, take your genius and make something else.